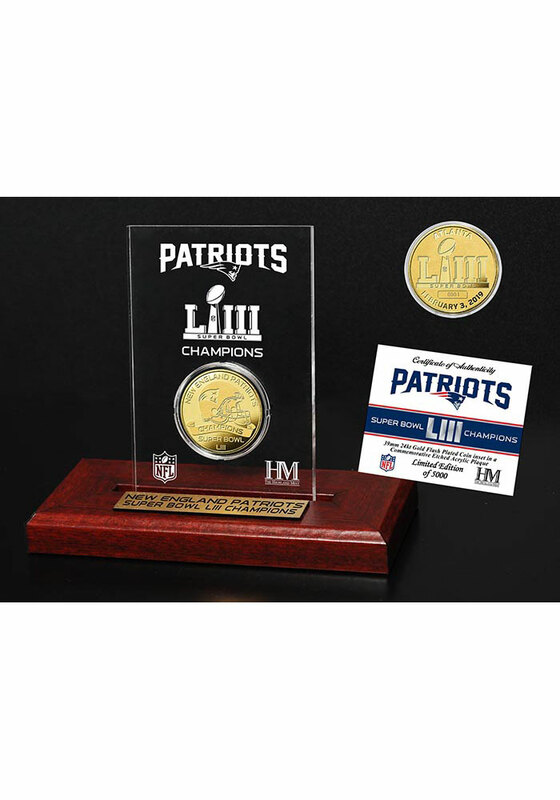 Display this New England Patriots Super Bowl LIII Champions Gold Coin Plaque to show off your New England Patriots spirit. This Plaque features a cherry wood base with an engraved nameplate and certificate of authenticity. This minted coin displays custom New England Patriots logo with Super Bowl Champions title.